When booking a safari at Shamwari Game Reserve, you don’t know what to expect. Most people have a few things on their “to see list” including the Big 5 and a kill. The most elusive of the Big 5 is of course the leopard and they have really evaded us of late. Fortunately, there are so many other animals providing us with amazing sightings and sometimes they’re closer to our back garden than we imagine. On game drive at Shamwari, you don’t know what will be around the next corner and this is what makes it so exciting. If, by chance you are passing by one of the lodges, you don’t expect to see much, never mind spotted cats chasing and catching an eland right in front of you! A few lucky guests had the privilege to see this scenario unfold just a few days ago. A cheetah coalition took their chance and had their breakfast nice and early right in front of Long Lee Manor. We had a great view of these slender cats eating their fill and finally looking like round beach balls. A pride of lion weren’t too far away either, so the cheetahs were on the lookout all the time while feeding and resting their full bellies. 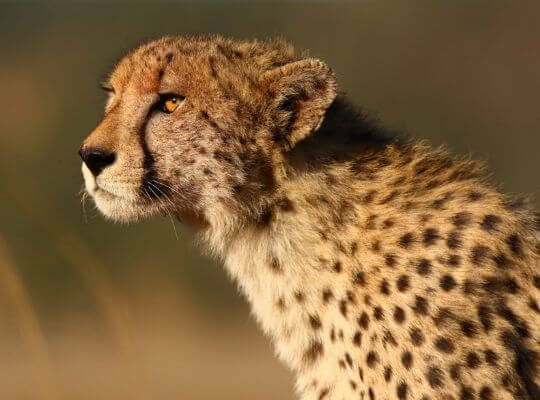 Do you want to walk out of your luxurious room and see cheetahs on your front lawn devouring their breakfast? Come and visit us at Shamwari Game Reserve!